PRICE REDUCTION! 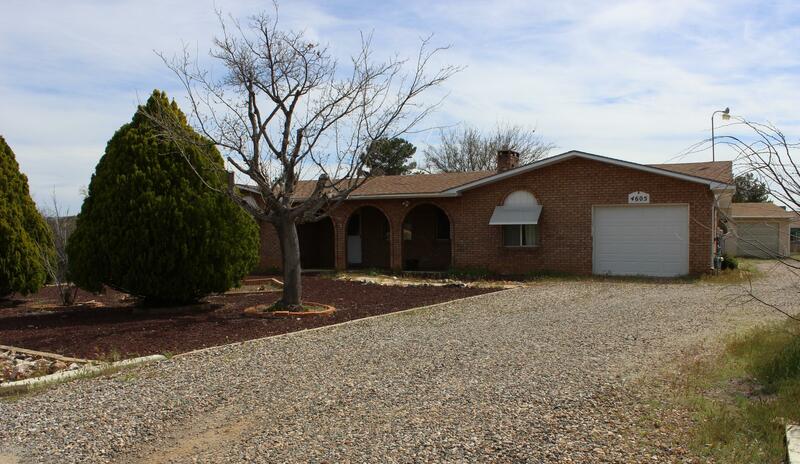 On a tremendous .30 of an acre is a 2 bedroom comfortable and well built home. Oversized detached one car garage with a connecting workshop complete with electricity and water. RV parking includes 30 amp, dump and water hookups. Storage is not a problem here. Plenty of cabinets, cupboards and closets. Mostly of which line the epic laundry room that has a separate office attached with a door to the outside front covered porch. The two bedrooms are large and the Master has a bathroom with walk-in shower. Home has a floor safe and gun closet. Backyard is fenced in and has a fenced in garden area. With your personal touch, this very special home could be your very own. Verde Village has green belt with access to the Verde River. Also, Clubhouse with a pool.